Does anybody know how to test the three terminal 8S4Z-9P471-A tumbler rotary position sensor used on a 2010 Focus 2.0L? My CEL came on with codes P0642 and P2004. I changed this sensor with a new one as well as the vacuum solenoid and checked the vacuum lines and verified that the vacuum actuator works with an external vacuum source and there is no mechanical binding or vacuum leaks. I am ready to replace my ECU as it seems it is not sending voltage to the vacuum solenoid to activate the tumblers from their no-vacuum position but thought I may have gotten a bad replacement 8S4Z-9P471-A rotary position switch and wanted to check it first. The vacuum actuator is in the UP position when I start the vehicle and it never moves regardless of engine rpm. It moves easily when vacuum is applied either from the car or externally. What can cause the solenoid to not get a 12v signal from the ECU on engine start up besides a bad ECU? A wiring problem between the two can do it. I have zero knowledge of that system on the 2010, but I am very familiar with the same system/s in the 2004 2.3 engine and thru 2007 2.0 Duratec engine. Your part descriptions and vac testing has me a bit confused. I will not ask you to help me learn about the 2010 version of this system. If like the older cars (2004-2007) the IMRC Solenoid/s are always powered (12Vdc) and are controlled by a "controlled ground" via the PCM/ECM. I want to caution you; please do not replace the PCM/ECU until after you have performed some "end-to-end" wiring checks (and some misc other checks) by using a meter and the 2010 wiring diagrams. My first guess is that you have a vac hose leak DESPITE the external vac test equipment that you used. Did your vacuum test include all the vac hoses in this system? I know (first hand) that some vac leaks can be hidden from the naked eye. Some vac hose damage is only seen once the hose is removed from the car; to release & relieve the hose of its' typical old positioning while installed in the car. Vacuum is good, solenoid is good ad tumblers are not sticking. When I ground neg wire going to the vacuum solenoid the tumblers close and stay closed as long as I keep the ground. So my problem has to be upstream from the vacuum solenoid which as far as I know is just the wire harness to the PCM and the PCM itself. Based on my clear understanding of the same-similar system in older cars (2004-2007) your testing and descriptions make complete sense, and I agree with you. The fault should lie within (that wire) the wiring from the IMRC solenoid to the PCM, -or the PCM is defective. 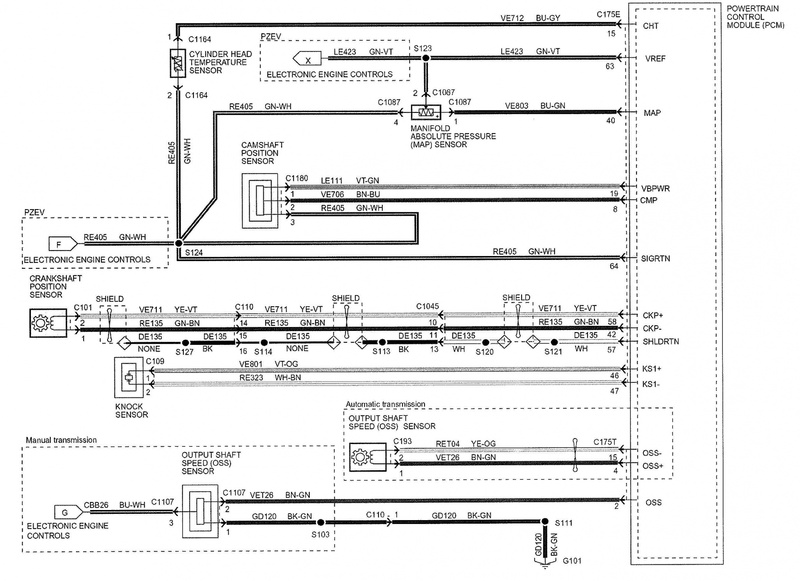 You should refer to the 2010 wiring diagrams and ring-out (test) the associated wiring. If anyone here has the needed 2010 wiring diagram PLEASE help him out. 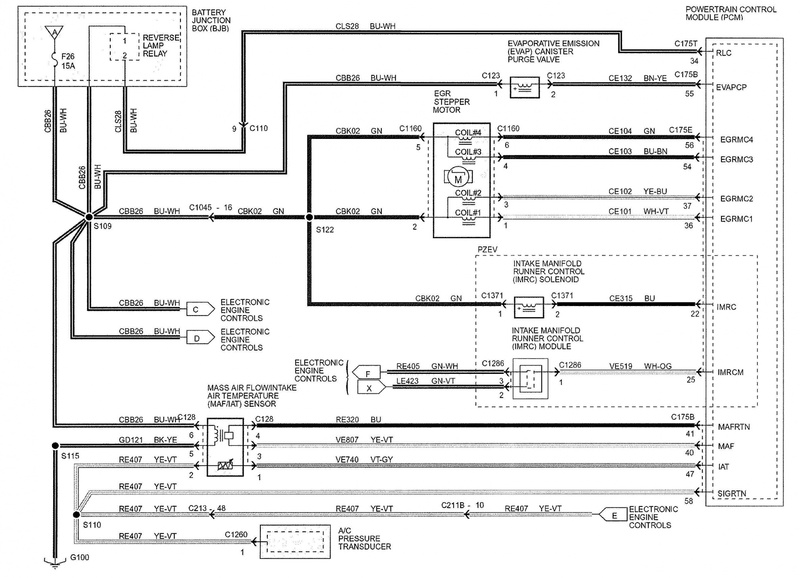 For 2004, the IMRC wiring info is inside diagram #26 "Engine Controls". Most car repair shops have access to the "pin-out" information that you need. Stop by a local garage and ask nicely, they might give you the needed pin-out info for free. If the wiring tests pass, I would still caution you from replacing the PCM without addition thought and testing. My light suspicion is a different problem: the IMRC Actuator and associated wiring. The PCM will not engage ((ground)) the IMRC Solenoid if the Actuator does not have communication to the PCM. So, the PCM effectively "watches" the Actuator to see if the actuator is working properly, and only then does the PCM allow the solenoid to engage. The exception to this rule is at first key-on, engine-on. So, it should work on first power-up, but after that, if something is wrong, it will get stuck in a failed state. Once the IMRC system has failed, ((aka -the PCM fails the continuous IMRC Actuator self-check)) the PCM will not allow the IMRC system to work again (will not ground that solenoid) UNTIL you turn the engine and key off. Sorry if I am rambling-on,... I am unsure about the 2010 wiring, and also do not know the PCM (firmware) operational characteristics of the IMRC system for the 2010. Many thanks for your informative reply. It helped me a lot. I forgot about the system check at start up and was not fast enough to start the car and get under the hood to observe the actuator cycling at start up so my wife started the car and I observed the actuator cycling like it should but then returning incorrectly to the open position shortly afterward. This tells me the wiring between ECU and the solenoid is not the problem. One difference between your generation Focus and mine is the sensor for the tumble flap position is separate from the actuator on the 2010 Focus. In fact while there is still an electrical connector on the vacuum actuator, there is no plug on the harness for it. Instead there is a specific sensor for the tumble flap position. This is the sensor I replaced first with a brand new Ford one but am even more convinced that my brand new sensor is defective causing the ECU to not get a logical reading for the tumble flap position and shutting this function down to the default, open position. Will get another new Ford sensor Monday and hope this fixes it. Again, thanks for your detailed reply. BTW just because the IMRC is not responding (moving) does not necessarily mean the problem is either the IMRC module or PCM. If the PCM does not get a specific input from other sensors it may have a default strategy of turning off the solenoid. Need to know the code setting criteria/failure management strategy. If anyone here has the needed 2010 wiring diagram PLEASE help him out. No, Paul and others (and me) are not calling the tumblers->IMRC. We say IMRC to ID the entire system, and not to ID any single component of the system. All the older Foci with Duratec (to include your 2010) have only IMRC, with the unique exception of the 2003-2004 2.3 Engine, which has a second sister system, IMRC and IMTV. Here is my recap of part names for the IMRC system. IMRC Actuator - I guess this part dropped the electrical interface in 2008. IMRC Module - aka flap position sensor. I guess this part first appeared in 2008. IMRC Flaps - aka tumble flaps, aka swirl flaps, aka runners. Side note: There is a much different IMRC Module mixed in some of the older (2000-2003) Zetec engine cars. I am not addressing that Module in this thread. That old IMRC module was a box that was sometimes opened-up by DIY'er for mechanical clock-work repairs. Do you have any idea what other sensors the ECU might be looking at to determine if it should trigger the IMRC solenoid? I realize that your questions are directed at Paul, however, this is a team sport, so I will also reply. My first and most important answer to your question is "I do not know". My knowledge of this system is limited, is a collection of reading threads here, and some hands-on repair efforts too. I can't tell you what sensors the PCM depends on for proper operation of the IMRC system, or what sensors might cause the PCM to disable the IMRC. The (my) basic understanding is this: the PCM moves the IMRC flaps based on throttle position and/or speed and/or engine RPM and maybe MAP and MAF info too. At somewhere around 2500-3000 rpm the flaps move from the normal (low RPM) position Closed to Open. The flaps live 95% of there life in the Closed position while the engine is on. The flaps live 99% of there life in the Open position while the engine is off. #1 - When driving fast down a freeway (70-75 mph or 2500-2800 RPM) I am unsure if the flaps are Open or Closed. It is my belief and guess that the flaps are Closed while cruising down the freeway. BTW I have no Tach, so I am unsure about speed verses RPM. #2 - There are verified stories here at FF that some cars IMRC hold or "trap" vacuum pressure when the engine is turned off. In these cases, the IMRC flaps are held in the Closed position, despite the engine Off. Lastly, Paul made a good point and a very good question. What DTC (codes) does your car have? Many thanks for the additional info. My 2 codes are P0642 sensor reference voltage “A” circuit is too low and P2004 intake manifold runner stuck open. Can you tell me if on a 2010 Focus if the Flaps are Open or Closed when there is no vacuum in the actuator and the little white ball joint is up and easily visible while looking at the top of the engine? I assume that this is the Open position? Last edited by [email protected]; Today at 07:57 AM.